Where has the time gone? I sat at the computer today and thought, "when did it get to Thursday?" Time really has just gotten away from me! But the last week or so has been pretty full on! To start with blogger's fantastic automatic spam filter, flagged my blog as spam, which meant that I couldn't post or do anything but stress they were going to close my blog down!!!!! But 3 days later it was released and now I'm back online and rocking along!!! 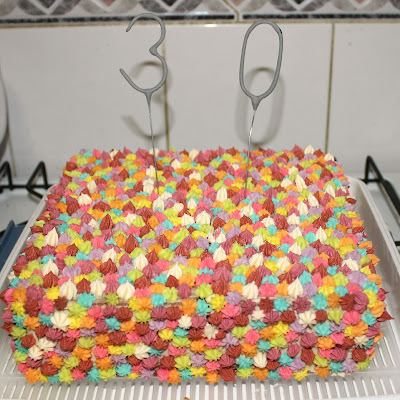 We also had my partners 30th birthday party over the weekend, an insight to follow. Then it was all followed by a trip to Sydney for 2 days where I forgot to take my camera :( I worked yesterday and now I'm here with 15mins till a 4 and 5 year old arrive on my doorstep to be babysat for the evening!!!! 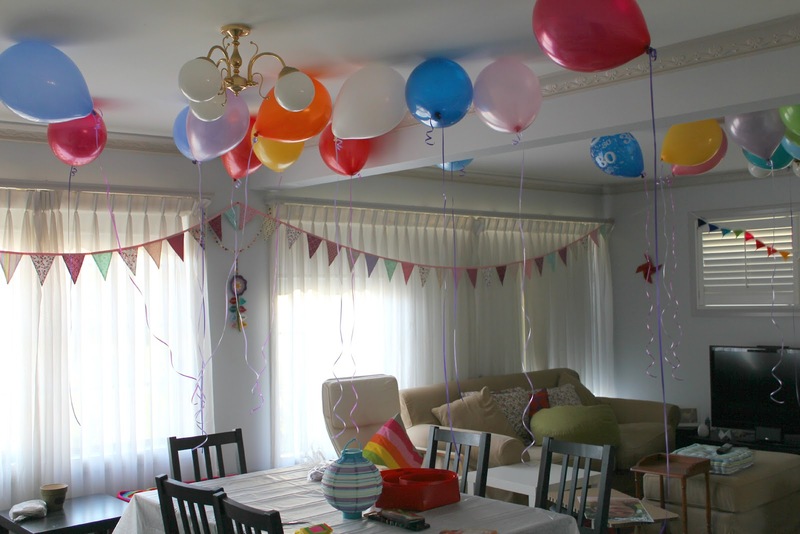 So it was a pretty busy week or so, but as mentioned early here is a insight into the party, which we had at home with 30 or so family and friends! 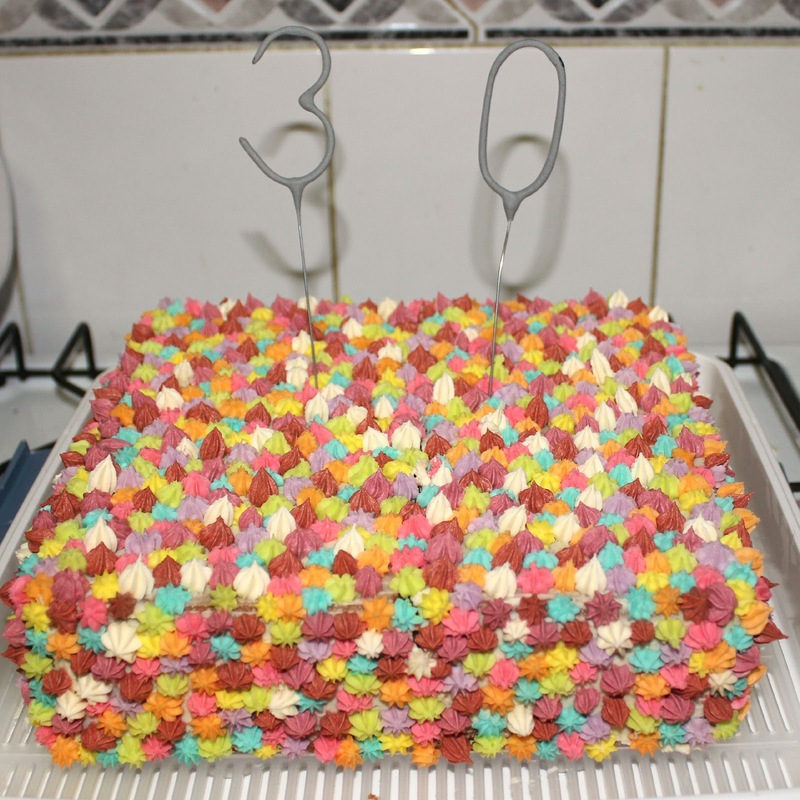 I assure you it was a 30th!!! I made the bunting across the windows and shutters, as well as the cake! It was a fantastic evening! There will be more pictures to come!